July is National Blueberry Month and it is a stellar crop here in south Jersey this year. New Jersey ranks 5th in the nation in blueberry production. 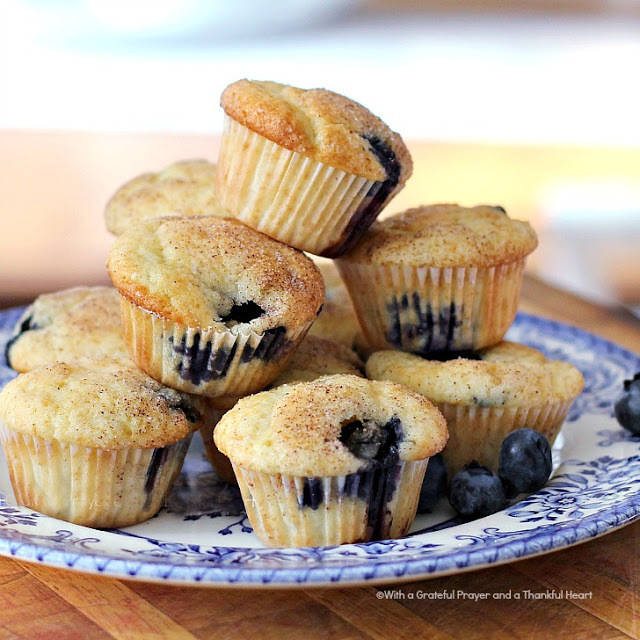 These muffins are light in texture and thanks to the butter and sour cream, are very tasty! Sift together the flour, baking soda, baking powder and salt. Cream butter and sugar well. Add eggs and beat until smooth. Mix in sour cream, vanilla and lemon zest. Add sifted dry ingredients and blend. Fold in blueberries gently. Line muffin tins with paper liners or grease and flour tins. Fill with batter; sprinkle with cinnamon sugar and bake at 375 degrees for 25 – 30 minutes. Bake mini muffins for 18 minutes. Would you believe it if I told you that we don't have here fresh blueberry?? Oh I love blueberry muffins. Here in France they are very expensive to buy, the frozen ones being slightly cheaper than the fresh ones. Fortunately they grow in abundance on the mountains, but not until August!! At the moment we have lots of tiny wild strawberries. Steph ~ Aldi has beautiful blueberries 99c a pint! Beautiful memories and yummy muffins!! :). We use ice cream buckets, but your rope handle around the neck idea would help us. I pinned your recipe. 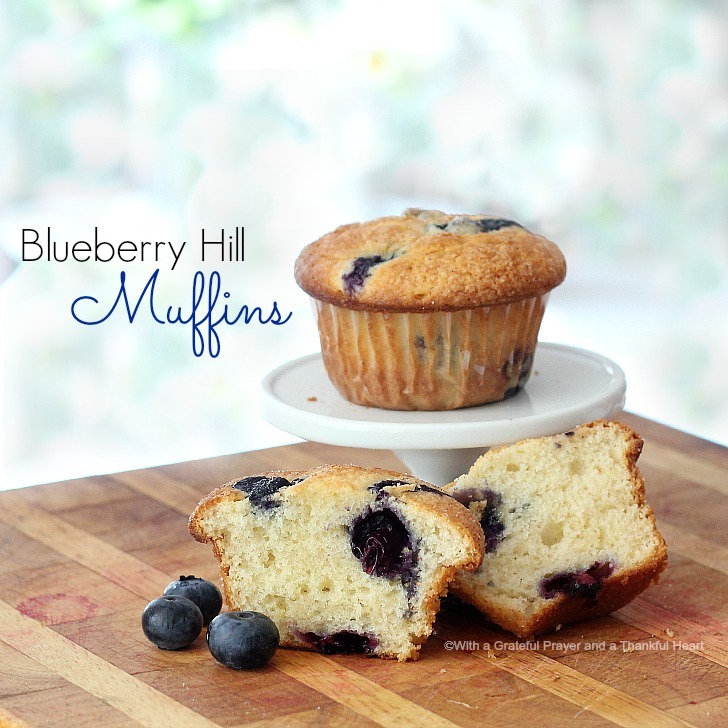 Great song…yummy muffins!! I'm going to give this recipe a try, while enjoying this tune in the background! I meant as soon as I……lol!